Last April 2013, Gaya Travel Magazine in collaboration with Tourism Perak, organised a familiarisation trip called Discover Perak 2013, which took representatives from selected media and travel agencies on a 4-day-and-3-night tour to specific places within the wondrous state of Perak. Come and Discover Perak now and check out the attractions we have listed here! Located only 3 hours drive away from Kuala Lumpur, Bukit Merah Laketown is indeed good option for a quick getaway. It is easily reached from the Bukit Merah toll exit along the North-South Expressway. Bukit Merah Laketown Resort offers various activities for the family all under one roof. It also offers comfortable accommodation options such as hotel rooms, chalets and service apartments. Famous for its over its 11-acre waterpark, the waterpark offers 14 rides for adults and children. This waterpark is suitable for the whole family to spend quality time together. With reasonable entrance fee, travellers can enjoy all the attractions available without paying extra charges. For those of you who want to get closer to the flora and fauna, a visit to the eco-park should not be missed. Visitors can view and interact with a variety of animals including primates, otters and reptiles, all roam freely within well-maintained enclosures specially designed to suit their natural habitat. Another attraction in Bukit Merah Laketown Resort is the Orang Utan Island, which is reachable by boat and takes about 10 minutes to get there. This rehabilitation and conservation site for orang utan is an initiative by MK Land in conserving the endangered species, apart from promoting eco-tourism. Home to 18 orang utans, each is well cared for. Enrichment programme for the orang utans are also done here to teach them to be independent before they are released back into the wild. The Matang Mangrove Forest was gazetted as a permanent forest reserve in 1906 and it is recognised as the best managed sustainable mangrove ecosystem in the world. To witness the beauty of the untouched landscape of the mangrove swamp, travellers need to take the boat ride. Apart from beautiful landscape, the mangrove swamp is where the migratory birds rest from their journey, making it one of the best places for bird-watching. If you are lucky, you’ll get to see the elusive Chinese White Dolphin swimming along the river-mouths! The charcoal factory owned by Khay Hor Holdings Sdn. Bhd. in Kuala Sepetang is a unique tourist attraction. Established in 1930, the factory is still running until now producing what they know best: producing charcoal from the mangrove forest in the traditional way. This charcoal factory with its igloo-like kiln has been attracting travellers when they visit Matang Mangrove Forest because this is the best place to learn the whole process of traditional charcoal production. If fireflies always fascinate you, you should come over to Kampung Dew and experience watching tonnes of ‘Christmas lights’ along the river. The amount of fireflies is incredible as every tree along the river is lit up and flickered similarly to ‘Christmas lights’! Lenggong is known to be the oldest place of human activity in Peninsula Malaysia. Based on Lenggong’s history, United Nations Educational, Scientific and Cultural Organisation (UNESCO) recognises Lenggong Valley as a World Heritage site on the 30th of June 2012. Located in the midst of an oil palm estate in Kampung Kota Tampan, the Lenggong Archeological Gallery opens every day without any entrance fee charged. Visitors will be able to see and learn excavated items and artefacts that were discovered in the Valley, including the replica of the oldest skeleton found in Malaysia, dated between 10, 000 and 11, 000 years ago, known as the Perak Man. Kuala Kangsar or also known as ‘The Royal Town’ is located at the downstream of the Kangsar River, where it eventually meets the Perak River. Kuala Kangsar is located at the northern part of Perak and is a district rich in history. There are many places of interest in Kuala Kangsar and one such place is the Perak Royal Museum, which once served as the temporary residence for Sultan Iskandar Shah. This building was built without a single nail and still standing strong until today. The traditional architecture of the building makes it unique. The Ubudiah Mosque, located beside the Royal Mausoleum at Bukit Chandan is one of the must-visit places in Kuala Kangsar. Its golden domes and minarets makes the mosque stands majestically. The equally beautiful interior of the mosque will definitely amaze travellers. In Kuala Kangsar too, you could visit the First Rubber Tree planted in this country. This tree – one of the first nine planted that became the forebears of Malaysia’s world famous rubber industry – is the only original one that still survives. This tree can be found close to the District Office of Kuala Kangsar. Located in the northern part of Perak, Taiping is an amazing place to visit. Apart from being the wettest town in Peninsula Malaysia, Taiping is also known with its 33 Firsts. 33 Firsts refers to Taiping as being the first town in Malaysia that start, initiate or implement new institutions or services in the country. Taiping Lake Garden has served as an ornamental park since 1884. Surrounded by big old trees, Taiping Lake Garden offers natural shades that make walking around the garden so peaceful and calming. The sight of old men walking or cycling is common here because Taiping has become the first choice for most Malaysian pensioners to settle down. There is also playground for the kids to play and have fun. Benches are also available for you to just sit and admire the beautiful scenery. Taiping Lake Garden is a must visit place if you’re in Taiping! To all animal lovers out there, do not miss visiting Zoo Taiping & Night Safari, the first and oldest zoo as well as the first night safari in Malaysia. 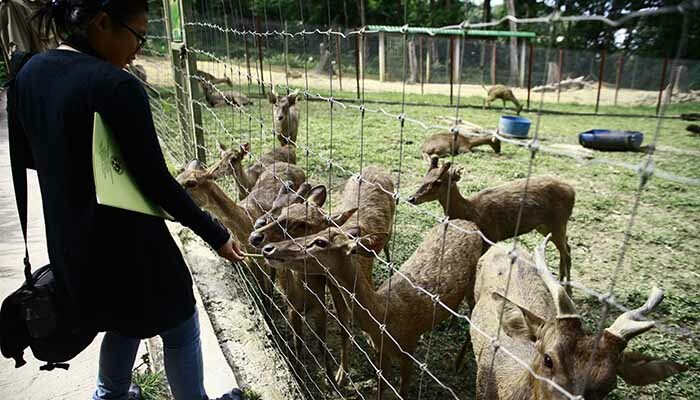 With the theme ‘Bringing People Closer to Nature’, Zoo Taiping & Night Safari is a must-visit. The experience of visiting the zoo at night is different since travellers have the opportunity to see animals that are usually asleep during the day. Tram is provided for the visitors to tour around the zoo. There are also friendly guides to help you to understand more about the nature of the animals. The animals are kept in exhibits designed to resemble their natural habitat. This does not only make the animal comfortable but also make travellers aware of the kinds of animal habitats. Opening everyday including Sunday and public holidays, Zoo Taiping & Night Safari is definitely worth a visit. This two-storey building is the right place to go if travellers want to know the learn more about Taiping history. Even though it is housed in a heritage building that looks aged, the exhibits inside are well organised and arranged that travellers will have no problem exploring the museum with ease. Outside the museum, the modes of transport used in the past are displayed. Most of the exhibits here are well maintained and with clearly presented. kuala kangsar & lenggong ..
Tak pernah sampai Mangrove kuala sepetang! Agh!! !